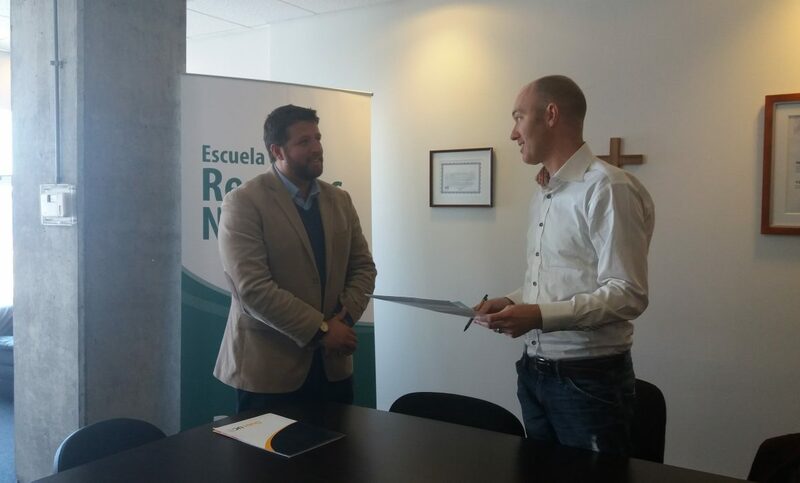 The alliance is a mayor milestone for our team in Chile, it’s their first private alliance and also the first collaboration with a Chilean University to create a plastic reduction program. How this alliance came about is noteworthy and inspiring. The Chile team presented A Plastic Ocean at the Chilean ministry of Environment in August this year for about 60 people. One of them was Yesenia Ayala, a 4th year Environmental Management student from Valparaíso. She was so moved by our documentary that she recommended it to the faculty director, Cristian Fuentes, and he decided to organize A Plastic Oceans screening at the University. After the screening Yesenia took up the challenge to start her own movement and take care of the plastic pollution problem at the campus. With the help of the Plastic Oceans Chile team she did a four-step plastic scan of the campus trash and found some staggering numbers, especially in the University’s cantina. 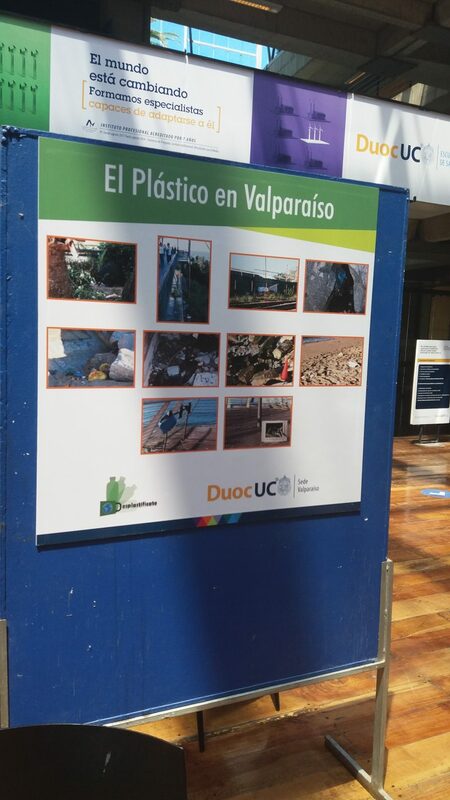 The biggest surprise of all – most plastic was not generated by the University itself but by the Sushi restaurant next door where the students go for their lunch. In only two months the ‘desplastify’ team has held presentations, done a plastic contamination photo tour, is cooperating directly with the Postlandfill Action Network in the United States, and on the 16th of November they organized a Plastic seminar with various speakers shedding their light on the various sources of contamination, its effect on marine life and possible solutions. It’s amazing what they’ve done in such a short amount of time! 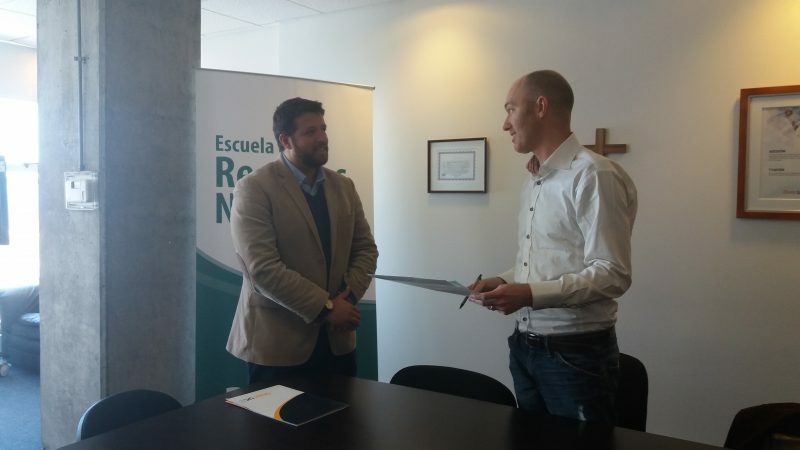 The Plastic Oceans Chile team wanted to take the project to the next level and proposed an alliance with the University to show their continuous support for the Universities’ efforts to reduce plastic use and they agreed! 1) replace the plastic sticks to stir coffee with wooden ones. 2) Take the plastic water bottles out of the meeting rooms and replace them with glass jars. 3) Support and collaborate with the desplastificate team and give them a place to keep conducting their research and presentations. The Chile team is optimistic that this example soon will be followed by other Universities in the country, and spread to Latin America and more, creating a massive #waveofchange.